In February, BAM celebrates the music of Brooklyn with two weekends of concerts at BAM and at clubs around the borough. 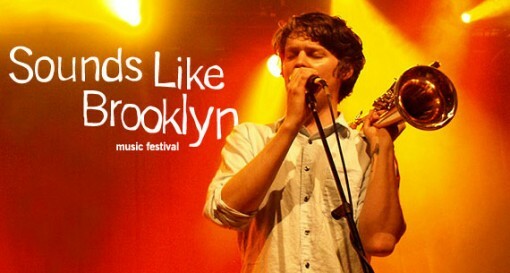 Featuring Brooklyn-based bands and solo artists from Bed-Stuy to Brighton Beach and everywhere in between, Sounds Like Brooklyn Music Festival (formerly known as Brooklyn Next) proves that Brooklyn is a hotbed for distinctive and innovative music. Headlining the festival on BAM’s Opera House stage are indie rockers Beirut and Clap Your Hands Say Yeah. Beirut’s Balkan beats and brass band laments have brought the group to international fame, while “rock geniuses” (Rolling Stone) Clap Your Hands Say Yeah performs songs both inspired and droll driven by powerfully resonant vocals. Tickets are on sale to BAM members now, and will be available to the public on Friday, December 12. Tickets are sure to sell out quickly, buy your tickets early. Additional Sounds Like Brooklyn Music Festival programming includes free performances by Japanther, Ninjasonik, and Bear in Heaven in BAMcafé. Around-the-borough performances will be announced mid-January. Check BAM.org for updates and details.